If you’re looking for a wedding colour theme that works throughout spring and summer, then an apple green wedding theme is just perfect. It’s light, fresh, vibrant and works as well on a bright day in April as on a sultry day in August. Apple green is definitely on the pastel spectrum. It’s slightly stronger than a pale green but not as overpowering as an emerald or forest green. You can use apple green for your invitations, accessories, bridesmaid dresses, wedding shoes, your wedding cake and reception decorations. Let’s start with your wedding invitations. These green wedding invitations by Ananya would set your wedding theme off perfectly from the start. If you’re keen on DIY-ing some of your wedding invitations, then you can do a lot with apple green ribbons. Maybe tie a bow on each invitation? Remember to allow yourself time to do this in your preparations and take note of our advice on what to diy and what not to diy on your wedding day. What about the décor in your wedding reception? This is the perfect time to take the advice of one of our expert wedding stylists. 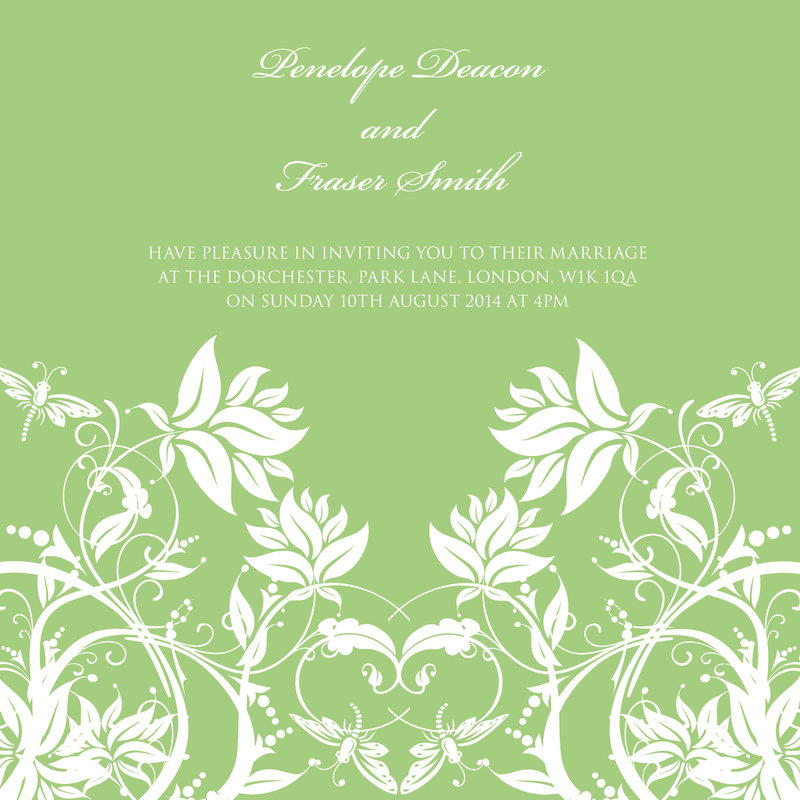 If you want a strong apple green wedding theme then they’ll work it in as you wish, alternatively if you want something a little bit more subtle then they can do that too. If your wedding venue is rather lacklustre inside you may want to consider room draping which can transform the most uninspiring room into something very special. If you’re having a coloured wedding theme, then our stylists would mix neutral colours with the colour of your choice – say apple green, using sashes and drapes. If you don’t want to overdo a colour theme, then use it as accent colours. What are they? That’s when you use a particular shade, in this case apple green, to pull things together without being overpowering. So you might want to look into having apple green wedding shoes for your bridesmaids. Maybe an apple green ribbon around your wedding cake? Apple green table napkins? Choose apple green as your wedding flower theme and you’ll be amazed at the amount of options you have. First off, consider hydrangeas. 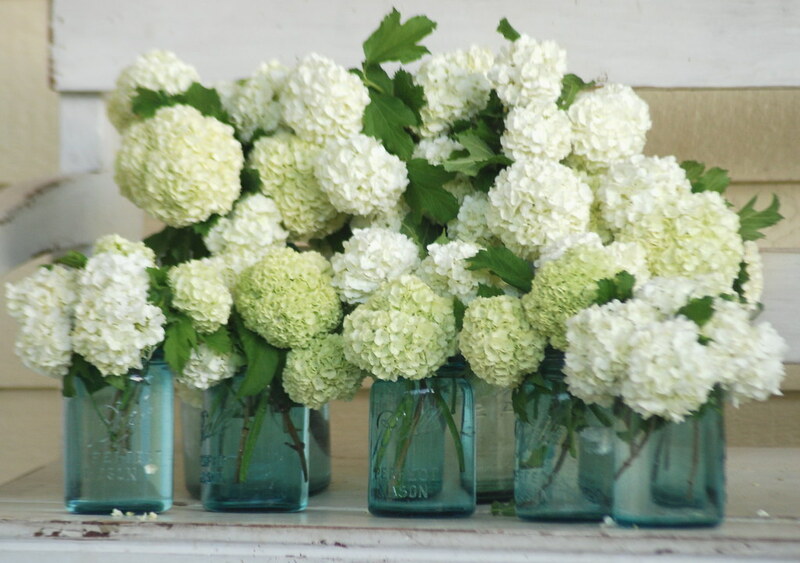 These come in a delicate apple green and white shades and make wonderful wedding bouquets. You should talk to your florist about what’s on offer. Orchids can also come in vibrant shades of apple green, maybe have a spray of apple green orchids in your wedding bouquet? There is such a choice that you don’t need to worry about going over budget here. Just choose flowers in season and with apple green being a colour of nature, you shouldn’t go far wrong. Oh, and how about using actual green apples as table decorations? Macarons are very on trend just now. If you’re having an afternoon tea party at your wedding you could have pistachio flavoured macarons – which would come in a delectable apple green shade. Finding apple green bridesmaid dresses shouldn’t be too much of an issue. Dessy is renowned for bridesmaid frocks and flower girl dresses in a multitude of shades. Remember, to stay on trend that you should allow for mismatched bridesmaid dresses so that all the girls get to wear a dress in a style that suits them – just tie the whole look together with a single colour. The best place to start with a coloured wedding theme, like apple green, is to talk to one of our experienced stylists and say what you have in mind. You might like to also start an inspiration moodboard on a site like Pinterest. We have wedding stylists all over the country and rather than being expensive, you may well find that their ideas (and the props they already hold) save you a lot of money on your wedding decorations. Decorate your venue beautifully and you may be happier with a less expensive venue than one that costs more that you can’t afford to decorate. It’s all about making that wedding budget go further and that’s something we completely understand. Get in touch today for a no-obligation chat!